[DLF], or Droid Life’s Favorite, is a series of articles reviewing our favorite apps in a given category. The goal of these articles isn’t to extensively review every single option out there and determine which is “the best,” but rather to give you a few of our favorite apps in a category. 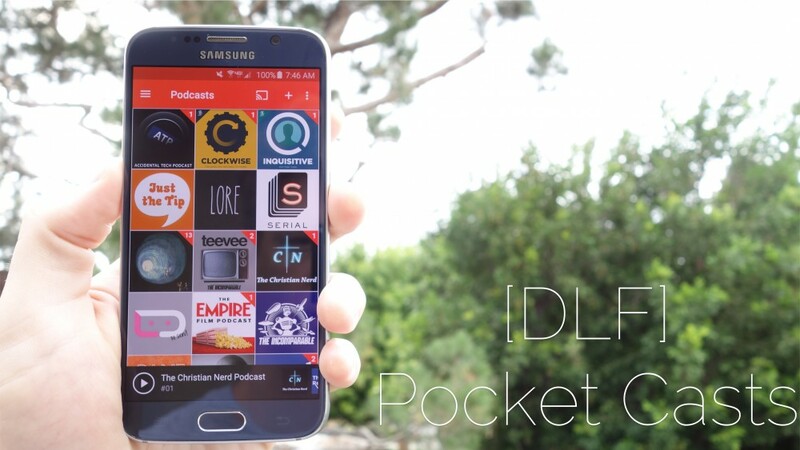 This week we look at Droid Life’s favorite podcast app. I listen to a lot of podcasts; twenty-two to be exact. I drive for at least an hour total commuting to and from work and I usually take an hour lunch break, so I always have at least two hours a day to fill with podcasts and music. Because I spend so much time listening to podcasts, it’s really important to me that I have a good looking, well designed podcast app. I started listening to podcasts way before Serial made them “mainstream.” When I started listening to podcasts on Android my app of choice was Google Listen, an app that Google rarely updated and eventually abandoned. Today there are tons of podcast apps, but only one of them is really worth your time and money. I love Pocket Casts. I love the developers behind Pocket Casts, I love the design of Pocket Casts, and I love using Pocket Casts. It’s the best (Not only in a, “Wow, this app is really great,” kind of way, but also in a “You’re my best friend” kind of way.). Pocket Casts features Material design with delightful animations, especially the play/pause transition. At first it might be a little confusing where to go to actually listen to stuff once you’ve subscribed to some feeds. 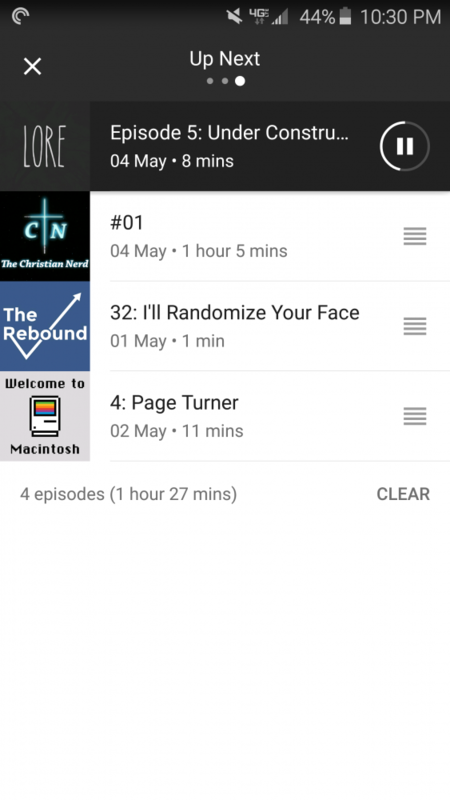 The app defaults to the Podcasts tab, which shows the artwork for all of your shows. If you want to find a specific show and listen to its episode or browse through previous episodes, this is the place to go. If you just want to quickly jump into an episode, though, then the Audio section is where you want to be. Audio lists every single one of your episodes in chronological order. I’m in Audio 90% of the time. The app also has Unplayed, Video, and Downloaded sections, but Audio is probably where most people will spend their time. You can also create an episode filter, which would allow you to set up a custom section say for your favorite shows that you want to listen to as soon as they drop regardless of where you are in another show. When playing an episode Pocket Casts starts playback with the mini player at the bottom of the display. Tapping on the mini player brings up the full playback controls and show art with a background that matches the coloring of the show art. Swiping from right to left reveals the Up Next section. Up Next is basically a way to create a quick podcast. Usually I’ll use this when I’m about to drive somewhere and I want to finish an episode, but I know I’ll still be on the road when it finishes. I’ll start the episode I want to finish and then tap and hold on the next episode I want to listen to and select Add to Up Next. You can add as many episodes as you want, which I prefer to making playlists (although you can make playlists if you prefer). Swiping from left to right on the album art reveals the show notes for the episode you’re listening to. Pocket Casts also allows you to adjust the playback speed, remove silences from a show, and boost the volume. These settings can be applied per podcast or across all shows. When turning on Remove Silences the app will immediately tell you how much time you’ll save, which is a nice feature. All of these great features are nice for your phone, but what if you want to listen somewhere else? Shifty Jelly has you covered. Pocket Casts works on Android tablets, the web, and iOS devices. All of those devices sync your episodes and playback times so you can jump between devices without issue. Oh, and it has Chromecast support so you can kick the episode you’re listening to over to the TV if you’d like. The Droid Life Show is our semi-regular show where we discuss the Android news from the week. Usually it’s Tim and Kellen, but sometimes I’m able to make it on as well. If you want to get more of our off-the-cuff perspective on the news then be sure to subscribe! Lore is a new show that explores the strange and supernatural. 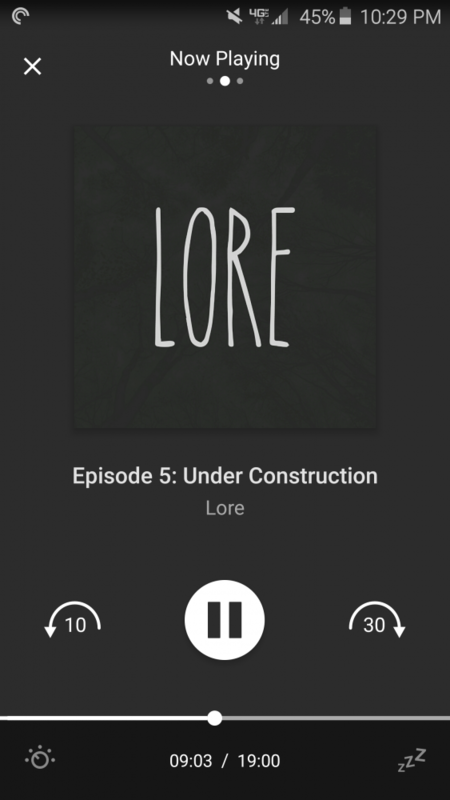 From vampires to ghosts to elves, Lore has you covered with short, but action packed stories with tons excellent show notes to fill in the details and haunting music to accompany the tales. Be sure to check this one out! The Christian Nerd is a show by my friend Scott Higa and me. As you may have surmised from the title, we talk about nerdy things like comics and Star Wars from a Christian perspective. It’s a new show that we only started this week, but we’ll have new episodes every Monday. We’d love for you to check it out. Game Show is a podcast that features multiple nerdy game shows. My favorite shows that they’ve done so far have been playing Family Feud from the actual board game from the 70s and Inconceivable, which asks ridiculously nerdy questions about Star Wars, Dr. Who, Marvel and DC comics, Star Trek, etc. to two teams. The Talk Show is John Gruber of Daring Fireball’s podcast. Gruber describes the show as a director’s commentary of Daring Fireball, which is an apt description. Ever week Gruber has a guest on to talk about Apple news. While I don’t always agree with Gruber’s assessment of things, I think he’s a really smart guy and I enjoy hearing what he has to say about Apple and his meanderings into things like Star Wars and even baseball. Tomorrow with Joshua Topolsky is another new show that I really like. It’s worth a listen just for the intro music alone. Each show delves into technology and culture topics with a new guest every week. Turning This Car Around is a show about fatherhood with John Moltz, Jon Armstrong, and Lex Friedman. I’m not a dad, but I know plenty of dads and I served in student ministry for seven years so I like hearing about parenting from these guys’ perspectives. The Dadcast is another fun show about fatherhood and parenting from Nik and Shawn. Every episode features a top five list, like the top five ways to entertain your kids on a rainy day or the top five things you want to say to your kids but shouldn’t. Welcome to Macintosh is a new show that began by exploring Apple’s history but has since seemed to pivot to exploring histories of people and things that were a part of Apple’s history, but not their history proper. It’s a fun show with good music and interesting topics if you like Apple. You Look Nice Today has been retired for some time now, but whenever someone asks me what podcasts they should listen to YLNT is at the top of my list. The show features Merlin Mann (of Back to Work and 43 Folders fame), Adam Lisagor (of Sandich Videos fame), and Scott Simpson (of Twitter fame) talking about all sorts of random funny things. It’s a hilarious show that I re-listen to in its entirety once a year. Begin with episode one and enjoy. 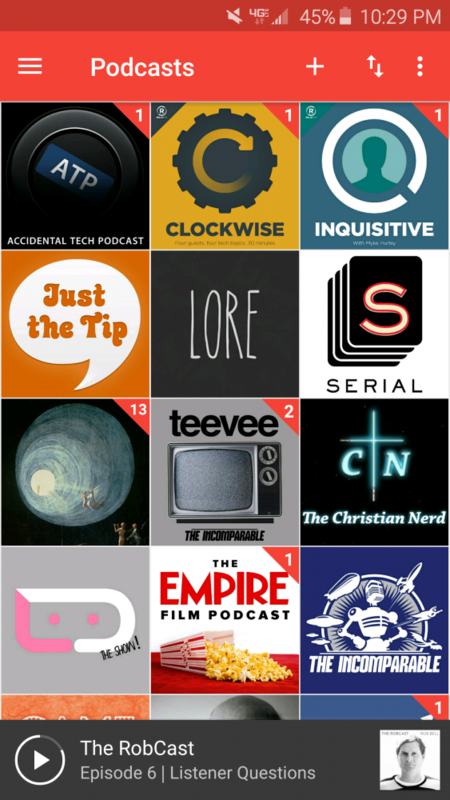 Pocket Casts is far and away the best podcast app in every category conceivable. Seriously, don’t even bother looking at the other apps out there. It’s not worth your time. There’s a reason Pocket Casts is making so much more money on Android compared to iOS: they don’t have any serious competition on Android. Even on iOS, where they do have serious competition, they’re a serious contender for the best app. 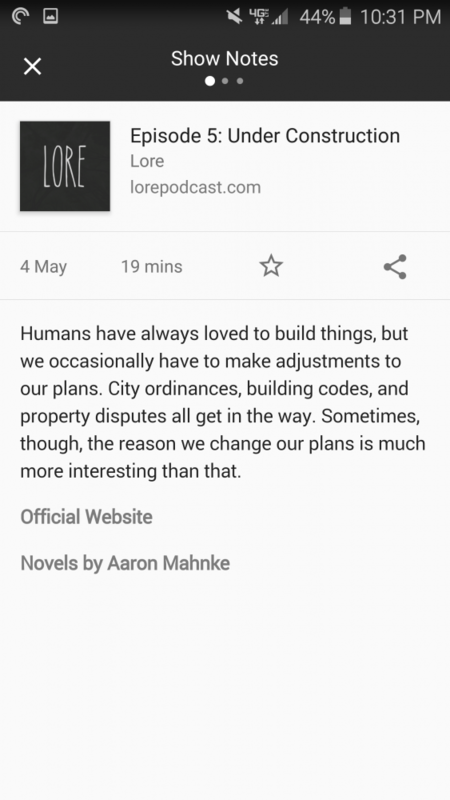 If you listen to podcasts on Android, this is the app you need. Go get it. 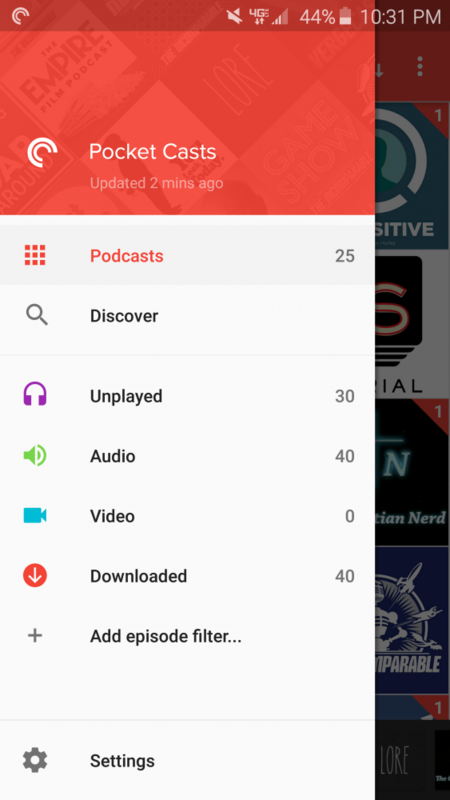 Pocket Casts is $3.99 on the Play Store.